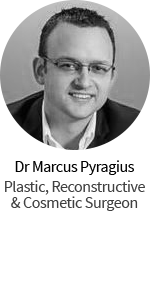 Dr George Marcells, ENT and Cosmetic Surgeon based in Bondi Junction, NSW is known for his expertise in facial plastic surgery and his natural looking results. 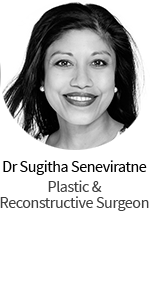 As the surgeon other surgeons refer to, Dr Marcells is one of the best surgeons to ask your Facelift questions. We managed to sit down with Dr Marcells to ask all the questions you guys often ask us. PSH: How do you identify if a patient is a good candidate for a facelift? Dr Marcells: There are various considerations when identifying if a patient is a potential candidate for a facelift. Some examples of these considerations are how you perceive yourself or if you feel that your appearance does not match your age. A facelift is designed to correct the common signs of aging: a sagging neck line, the appearance of jowls, the deposit of fat along the jawline and neck, and a deepening of the lines between the nose and the corners of the mouth (nasolabial folds). Consideration must be given to facial bone structure and skin elasticity in planning and performing a facelift. Age is generally not a factor in determining whether a patient is a candidate for facelift surgery. Most are between the ages of forty-five and seventy. However, there are exceptions. Some people age prematurely and consider the surgery at an earlier age. Others age more slowly and can successfully have the surgery in their seventies and eighties. More consideration is given to the patient’s’ actual appearance than their chronological age. PSH: How often do you combine a facelift with other procedures, ie. 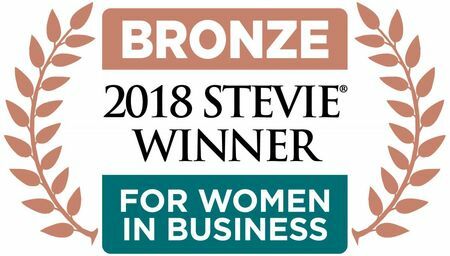 non surgical treatments/procedures? What are they? Dr Marcells: For optimal results we combine a facelift with a Trichloroacetic Acid (TCA) peel and multiple Heallite II treatments. A TCA peel is a non-surgical treatment that provides skin resurfacing. Once the chemical solution is applied to the skin, it then causes peeling of the damaged outer layers which are replaced by fresh new skin that is unblemished in appearance. TCA peels are recommended for men & women of all ages wanting to improve moderate to severe sun damage & or signs of aging. Healite II is also a non-surgical treatment that involves light emitting diodes (LED) that stimulate naturally occurring regeneration and helps to repair processes of the skin. The Healite II will improve hyperpigmentation, redness and acne problems and reduce the signs caused by the skin’s natural ageing process. Light therapy is an excellent way to increase collagen production in the skin, keeping it younger and healthier looking longer. PSH: Will a facelift help to improve the appearance of a patient’s neck? Will it help to tighten the skin, or does that require a separate procedure? Dr Marcells: A Deep Plane facelift is an extensive procedure that involves tightening of a patient’s skin, neck and brow. 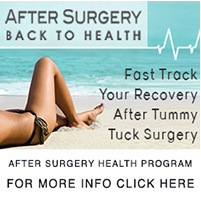 This particular procedure is even more extensive and has longer lasting results. PSH: Facelift procedures can vary with techniques and approaches. Do the different techniques suit different patients and their desired result, or does it depend on which technique that surgeon prefers? Dr Marcells: There are multiple facelift procedures and techniques available and each patient will need to be assessed based on individual criteria. PSH: Which technique do you prefer and why? Dr Marcells: I prefer the Deep Plane facelift technique. This particular technique leaves little to no trace of a facelift having occurred. The Deep Plane facelift also allows me to thoroughly address the effects of ageing on the face and neck. After a Deep Plane facelift patients simply look well rested, rejuvenated, natural and more youthful in appearance. PSH: How long does the actual procedure typically take? Dr Marcells: A deep plane facelift can take anywhere between 6 to 8 hours, and that may vary depending on the type of facelift as well as any other added surgical procedures. 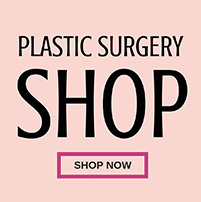 PSH: What are the possible complications after a facelift? As with any operation, a facelift has risks and potential complications. However, with highly trained doctors and nurses making up the surgical team, complications are minimal and extremely rare. Like all surgery, the risk of bleeding, infection, numbness caused by injury to the sensory nerves, scarring or an anaesthetic problem is present but unlikely. Injury to the motor nerves that move the face is extremely rare as well. PSH: What is the downtime for a typical facelift without complications, and what pain/discomfort/swelling/bruising is involved? Dr Marcells: Patients may experience mild to moderate bruising and swelling, which last for approximately one to two weeks. This is not a painful procedure but we do prescribe pain relief should it be needed. PSH: How much time should someone plan to have off work? Dr Marcells: Anyone considering a facelift should take at least two weeks off from work. Most patients return to work and social activities after two weeks but any strenuous physical exercise should be avoided for four weeks following a facelift. PSH: What aftercare/recovery is involved? Will the patient’s face be wrapped up in bandages? Dr Marcells: Initially after surgery our patients will be closely supervised in our recovery room at Bondi Junction Private Hospital. The first night will be spent in a private room at Bondi Junction Private Hospital. The following morning, all bandages are removed and all surgical sites are inspected and cleansed. A lighter bandage is then applied. Instructions will be provided on how to care for any incisions until the stitches are removed in four to seven days. PSH: How long can someone expect the facelift results to last? Dr Marcells: The Deep Plane facelift produces longer lasting results than other facelifts around. This improvement can be expected to last many years. The results do not “wear off,” but rather, the aging process will continue starting with your new rejuvenated appearance. We can expect the results to last anywhere from 10 – 15 years. PSH: What scars can be expected after a facelift? Dr Marcells: Because there is little trauma and no tension on the skin, there will be no lumpy or red stretched skin scars. Skin tension leads to poor wound healing, giving rise to these scars. Because there is little skin tension, incisions heal more quickly. PSH: Are the results permanent? Do you ever do revisions or further surgery if a patient is not happy with the results? Dr Marcells: Facelift results are not permanent and Secondary facelifts can be performed if a patient is not happy or when a patient experiences further ageing over time. 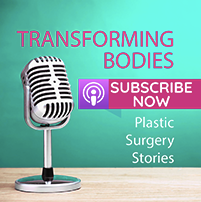 PSH: What are the things a patient can do to help to get the best results from a facelift possible? Dr Marcells: Skincare is an important adjunct to maintenance of a youthful appearance after facelift surgery, and this will be discussed at length following surgery. We may recommend treatments such as dermal fillers or Anti-wrinkle injections to enhance your results once all post-operative swelling has fully subsided. Also, pre – surgery low sodium diet and plenty of exercise. Trish, I am 62, and look ok for my age,I just have this loose skin that hangs from my chin down my neck,it ages me terribly,what kind of medical or surgical procedure would help with this issue,I hate my profile?? For loose skin on your neck might a neck or facelift would be a surgical option. There’s also less invasive treatments that might be helpful. Find yourself a good practitioner that can help you and get a few opinions.